Students learn habits for career success and how to utilize your time in graduate school to effectively prepare for non-academic careers. International students and post-docs can learn about the immigration process to Canada and the United States from our immigration experts. The video seminars in Aurora are taught by PhD experts working beyond the professoriate. Learning prompts will help students apply this new knowledge to their own job search. Students and post-docs will be able to use their dissertation, research and teaching experience to prepare for a non-academic career. • Define science communication and public scholarship. 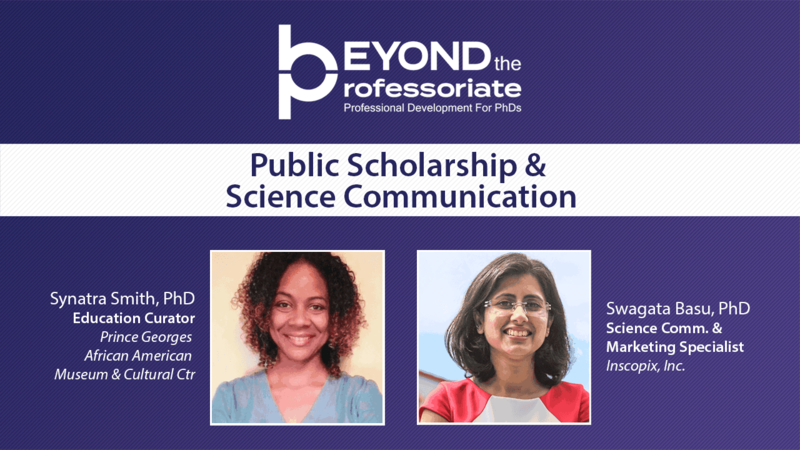 • Identify career paths in the fields of science communication and public scholarship. • Apply strategies to cultivate experience in these fields. • Recognize the applicability of their current transferable skills. Swagata Basu, PhD, Science Communications & Marketing Specialist, Inscopix, Inc.
• Design the dissertation process to instigate a non-academic career. 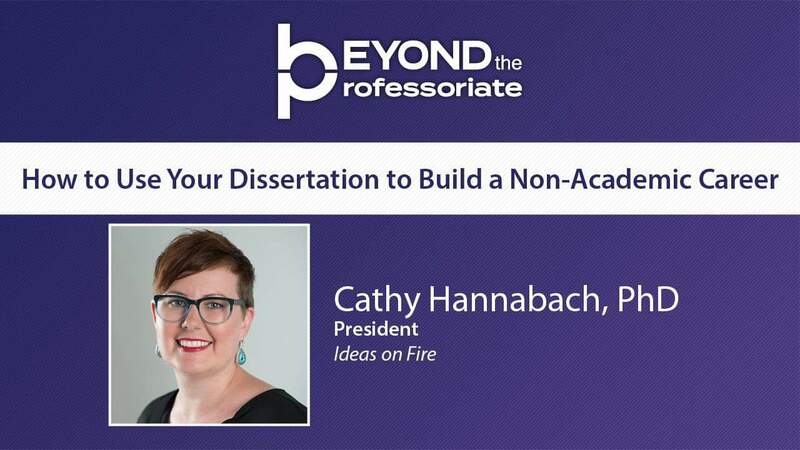 • Establish a community network through the dissertation process. • Identify concrete skills acquired through the creation of a dissertation. • Use their dissertation topic to connect with other industries. • Reconsider their teaching experiences and transfer those skills to the job search. • Explain why teaching experience is their greatest competitive advantage. • Identify 10 transferable skills they cultivate when they teach. • Consider how to articulate their skills to be competitive for a variety of careers. Students and post-docs will be able to employ productivity and self-care strategies to enhance their career. • Recognize stress responses in the body by understanding the science of stress. • Define mindfulness meditation and identify its purpose. • Use mindfulness meditation to change the stress response and manage stress. • Apply simple on-the-spot techniques for handling stress in everyday situations. • Gain confidence in the writing process and their final product. • Apply strategies to demystify the writing process. • Develop systems to stay in control of their time. • Identify the sources of their writing anxiety and create a plan to overcome their obstacles. • Identify and align priorities with purpose. • Define a life purpose statement. • Create a useful schedule for tasks and goals. • Apply effective tools for productivity. Students and post-docs will be able to identify the processes required for immigration and develop job search strategies. • Develop strategies to increase their ability to immigrate. • Recognize the challenges to immigrating to the United States. • Determine how immigration law may impact their life. • Identify the immigration pathways and how they apply to their situation. • Identify the immigration pathways and the benefits of each. • Recognize the bureaucratic and financial considerations. • Assess the rules guiding the immigration process and select the most appropriate permanent residence program. • Plan their application for permanent residency. • Identify differences between job searching as an immigrant and as a permanent resident or citizen. • Recognize the challenges that immigration processes add to a job search. • Apply effective strategies to a non-academic job search as an immigrant or international student or postdoc. • Develop a plan for job searching as an immigrant.